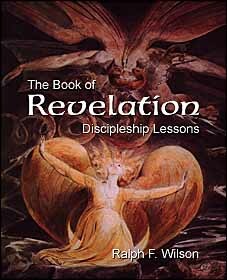 The Book of Revelation shouldn't just pique your interest, but transform your life. This volume takes you through the whole scope of St. John's vision to help you see the big picture. Revelation can't be taken literally, of course. It's symbolic, but that doesn't mean it isn't true. The meaning of Revelation begins to come clear when the symbols are probed and understood. You can't produce a clear chronology of the End Times, however, by stringing Revelation's visions in order like beads on a necklace. The timing of the tribulation and rapture are, frankly, only minor themes in the biblical text. While the author is pre-millennial, mid-trib, we'll explore all the popular views. Ultimately, Revelation must be understood on its own terms. The purpose isn't to take some dogmatic position on controversial issues, but to help you understand and heed the message of Revelation. It'll shake you out of your spiritual lethargy and stimulate you to be a faithful witness no matter what you face in coming days. This volume consists of eight lessons, each with five or six discussion questions to help you explore the major issues, as well as seven charts and graphics to help you or the group you lead grasp the panorama of Revelation. The study can be used for personal enrichment, by small groups and classes, and by teachers and preachers for sermon preparation. Participant lesson handouts for this book can be downloaded and printed for your group or class at no charge. You can purchase this book either as an e-book or a printed book. Paperback format, $9.95, must be ordered through Amazon.com and other online booksellers. You may also ask your local bookstore to order it. The paperback book has 113 pages and is 7.5" x 9.25". ISBN 0983231052 (978-0-9832310-5-9). Kindle E-book format, $8.95. You may purchase this version directly from Amazon using one of the links above. This is read using a your Kindle or a Kindle Reader app installed on your computer. It cannot be printed out. PDF e-book format, $8.95. You purchase this 113-page e-book and can download it within minutes. You can read it on your computer in PDF format if you like, or print out a single copy on your printer in 8-1/2 x 11" or A4 paper. No tax is charged on e-books. Reprint License, $2.50 per copy. This allows you to print additional copies for your own group. Once you've ordered this item, set quantity field for the number of reprints you plan to make and click on "recalculate." One license is required for each additional copy you make beyond the initial book you purchased. This reprint license prohibits sale of the book to individuals outside your local area or congregation. You'll probably want to order a single copy of the PDF e-book version also, so you'll have the file from which to reprint.